Energy Management: LIBOR - Does the Jungle Need a New Law ? Clearly, the commercial well-being of society cannot exceed our individual endeavours when summed and the strength of each individual is inherently dependent on society (no man is an island). 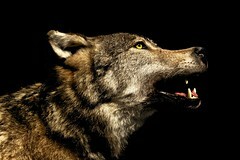 So to prosper, is not to be rich, but to succeed, in harnessing resources to serve the needs of "the pack" effectively. If we as a "Pack" elect leadership from amongst ourselves, to deploy their skills and energies as best they can to manage the economy, to set priority for resource and investment, then, just as we lift them up, we must hold onto the ultimate sanction as they fall from grace. To say that "the Wolf that shall break it must die" sounds extreme, but social death is available. Whether it is imprisonment, stripping of assets, or a few stripes in public that is appropriate is not for any one individual to judge. but the Law of the Jungle needs Teeth !